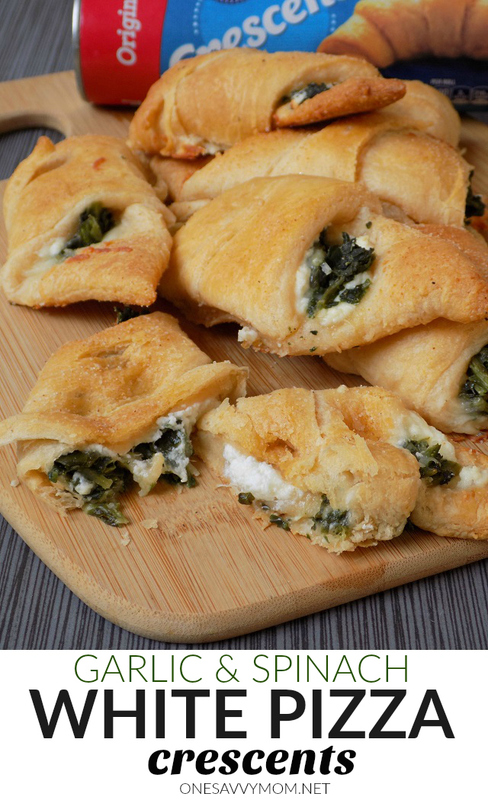 If you love White Pizza, this quick and simple White Pizza Crescents with Spinach and Garlic recipe is definitely for you! The way that I concocted this recipe was actually a happy accident. A few weeks ago, I found myself smack in the middle of one of "those" days. I didn't have a ton of time on my hands - but I still wanted to produce something quick and delicious for dinner. After scouring my cabinets and fridge for possible ingredients / ideas, I landed on White Pizza Crescents with Roasted Garlic and Spinach. I served them alongside a chopped salad, and everyone was full and happy. WINNING! 20 minutes of effort well spent, friends. 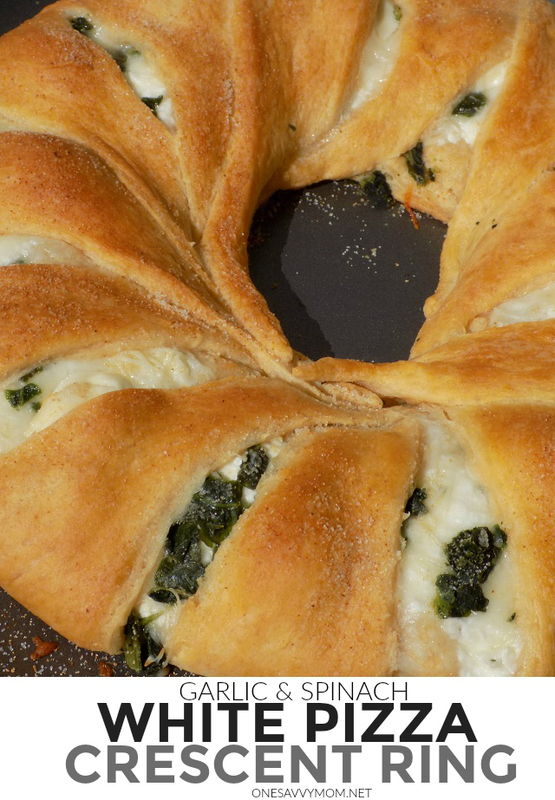 Last Sunday, I used the same ingredients, to try my hand at making a White Pizza Crescent Ring, and it turned out just as great as the handheld Crescents; a definite crowd pleaser! 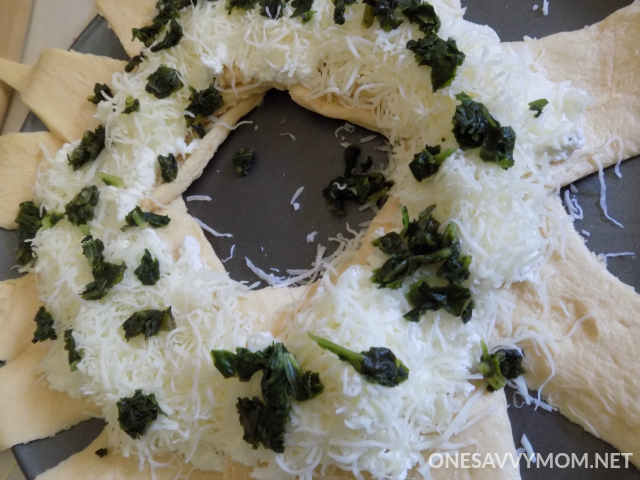 Grab my simple recipe for White Pizza Crescents with Garlic and Spinach, below ( or you can use the same ingredients list to make a White Pizza Crescent ring - directions can also be found below). Unroll Crescent roll dough, and separate at perforated edges. Arrange flat on a nonstick baking sheet. Sprinkle with half of the garlic salt, as evenly as possible (leave the other half of the garlic salt set aside). Sprinkle the tops of each Crescent with Parmesan cheese / remaining garlic salt ( as evenly as possible). Place in preheated oven. Bake for 12-15 minutes / until tops are golden brown. Serve alongside a chopped salad, to make it a meal OR on a pretty tray as an appetizer / snack. Enjoy! To make a White Pizza with Roasted Garlic Crescent Ring, use the same ingredients listed above. 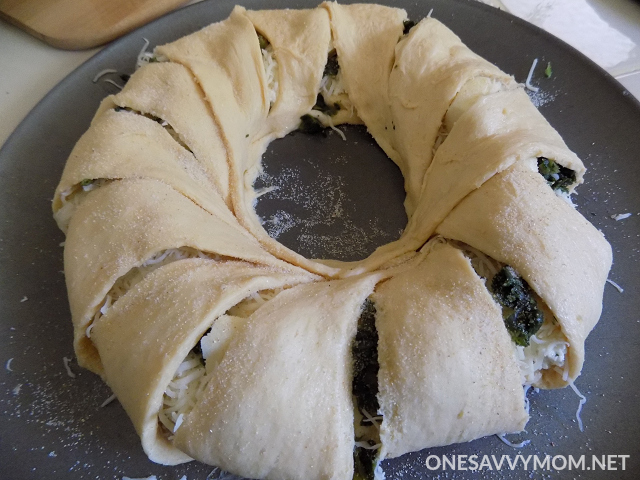 Lay your crescent dough out on a pizza pan in a circular pattern (overlapping each piece of crescent dough as you go). 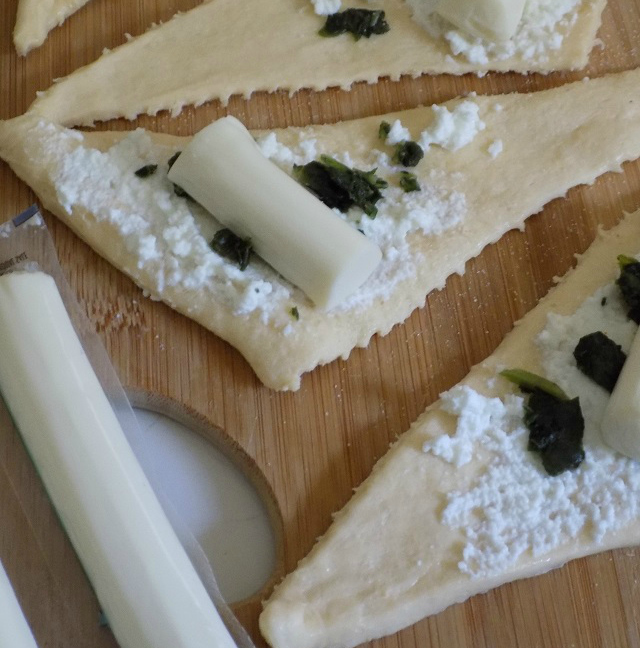 Add your ingredients the same as you did with the White Pizza Crescents (refer to steps outlined above). 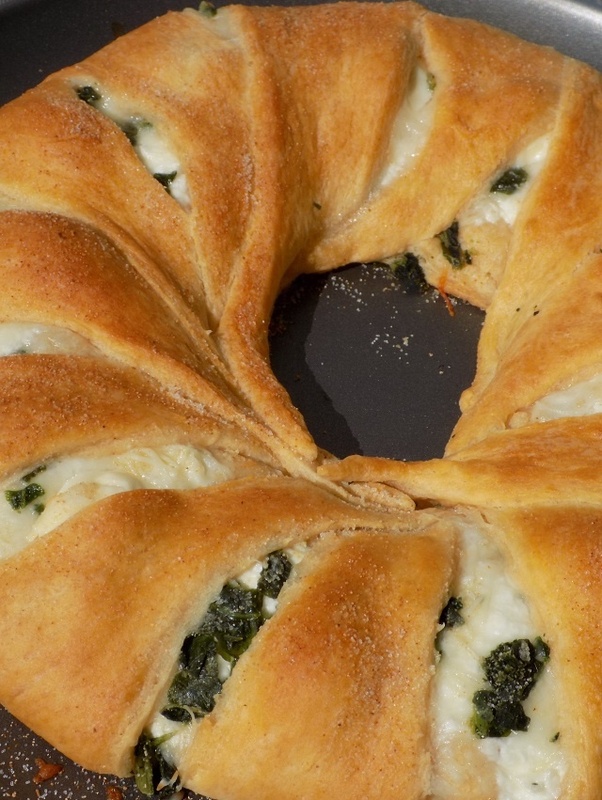 Once ingredients have been added, fold your Crescent dough "points" inwards (one by one). 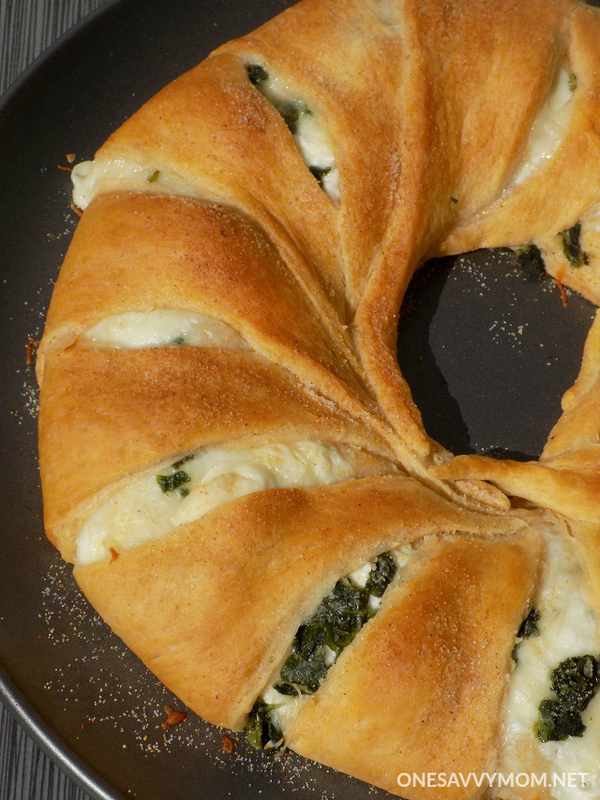 Press each piece of Crescent dough down as your folding, to secure it over top of the ingredients. Bake at 400 degrees (Fahrenheit) for 12-15 minutes, until the top is golden brown. Remove from oven and cool for 5 - 10 minutes prior to slicing and serving. 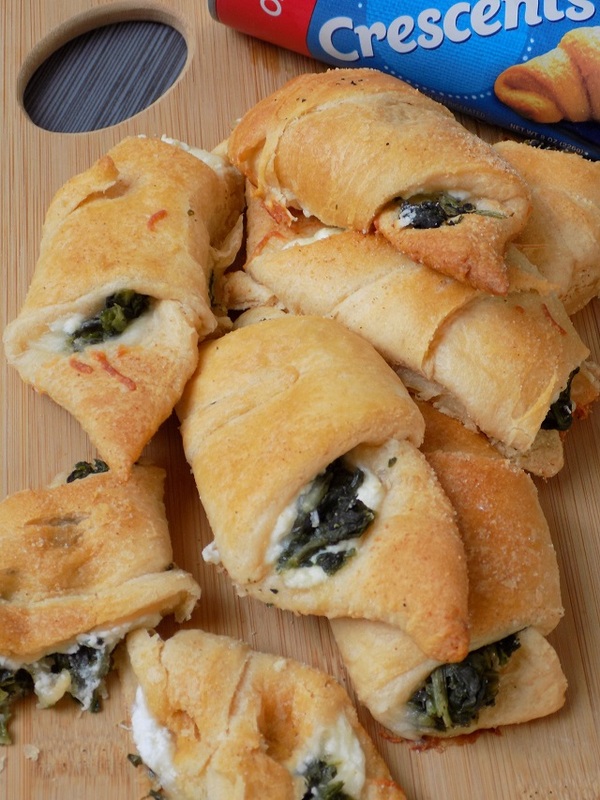 I can't even begin to tell you how many times having a couple of tubes of Pillsbury Crescent Rolls on-hand has saved me - they're an absolute staple in my fridge!